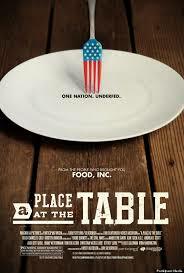 50.1 million American's struggle to put food on the table. In response to the release of the documentary: A Place at the Table bloggers are dedicating their April 8th posts towards the awareness of hunger in America. What would you do if you were hungry? The more bloggers involved the more powerful the message. Thanks. Diane, what a great idea. I am going to read more about it now. I appreciate your sharing this with me. I have often thought that I needed to use my blog to help others. This is one way to do it! Diane, I have just come from spending at least an hour reading the information from the Food Bloggers against hunger. I want to say again, thank you for sharing this. I am going to participate by blogging about this and my personal story also. I was in an abusive relationship and when I left, I found it difficult to raise my 2 year old on a secretaries salary. I quit work and went to school to better myself. During this time I used food stamps and other public aid. I know the struggle to eat healthy food. I have been in tears about this. My partner is a government worker and we will be effected by the sequester, but not in the way many others will be. We will still be able to put food on the table every day of the week. I am going to share this with others and hope that they will blog about this also. I will be facebooking, tweeting and doing what I can. Thank you again from the bottom of my heart. I am so glad I got this info to you Cynthia. It is wonderful that you are going to share your story. The more faces put on hunger the harder it will be for people to ignore it. What a great initiative Diane. The same could be said for a lot of people in Australia. I'll help spread the word and will hopefully post something on the day. Sounds great. Thanks for sharing this at Freedom Fridays. This is great and I am hoping to participate. Thank you so much for sharing your awesome post with Full Plate Thursday and have a great weekend. It would be wonderful if you can participate Miz Helen... thank you. Thanks for letting us know, Diane!